What does it mean to be a gay or bisexual man? At the RISE Men’s Retreat, attendees enjoy a day full of discussion, self-understanding and activities tailored around defining this question. (Did we mention breakfast, lunch and a $25 gift card are provided?) We caught up with the founder/head of RISE, Christopher Bush-Winston, where he answered some questions and filled us in on what can be expected of the day. What is RISE and what can I expect at the retreat? 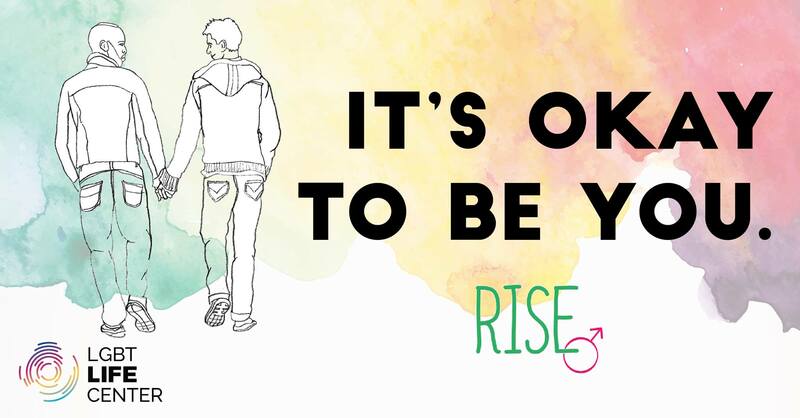 : At RISE, you can expect an open and non-judgemental, laid-back atmosphere with guys of all backgrounds and ages. You can see guys from 18 to 80! Everything about the day, from activities to attendance, is confidential. You are in a safe space to be yourself. What are some of the activities that take place throughout the day? : At RISE we spend the day talking about subjects that are important to the lives of gay or bi men. We talk about relationship patterns, homophobia, masculinity…or the lack thereof, the ideal man…and much much more. We also bond as a community and we eat very well throughout the day (for free!). Who is encouraged to attend RISE? : RISE is for any and every gay or bisexual man, regardless of age, race or status. How do people find out about RISE? : Anyone interested can contact me via my email cwinston@lgbtlifecenter.org or call me at 757-640-0929, ex. 460. We also can be found on Facebook as well at our RISE Facebook event. Who typically attends the retreat? : RISE is always a very diverse event. We have guys from 18 to 80. Some guys have just came out or never came out and some have always been out. It is one of the most diverse LGBT events I have ever attended. What are some takeaways for attendees of RISE: We take away knowledge of ourselves and the community from our discussions on self-discovery. We also take away new friendships and bonds with our retreat-mates. Also, we leave with a full tummy and a $25 gift card for attending. Contact Christopher Bush-Winston (cwinston@lgbtlifecenter.org), John Humphries (jhumphries@lgbtlifecenter.org) or Ricky Stith (rstith@lgbtlifecenter.org)–the RISE team at LGBT Life Center.